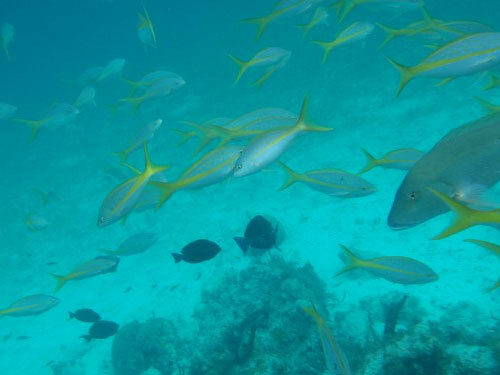 If you are tired of the crowds and are looking for a more intimate boating experience, the Bahama Boat Snorkel & Water Sports Package is the tour for you. The 18-foot bow rider that will take you out on the water is especially designed for small groups of up to six to make sure that this experience is all about you! The VIP treatment begins at your hotel from where we will pick you up to take you to the boat in the marina. Once you are settled on the boat, the fun begins with a tour of Nassau Harbor. We will show you exciting sites, such as the historic Pop Symonette Mansion and Fort Montaque, Potters Cay, the amazing mansions of Paradise Island, luxury yachts, and much more. After this fun tour through the history of our region, we will head toward Athol Island for the real water adventure. The Sea Gardens are one of the regions prime snorkeling locations. For 45 minutes to an hour, you can explore the teeming coral reefs and their marine inhabitants. Marvel at tropical fish of all shapes, sizes, and colors, and check out gorgeous underwater corals. And if you decide to stay aboard, you can still experience the fish when they come to the surface as we feed them. No matter what you decide to do, you will have ample opportunity to enjoy this area's many natural marvels. But there is more! 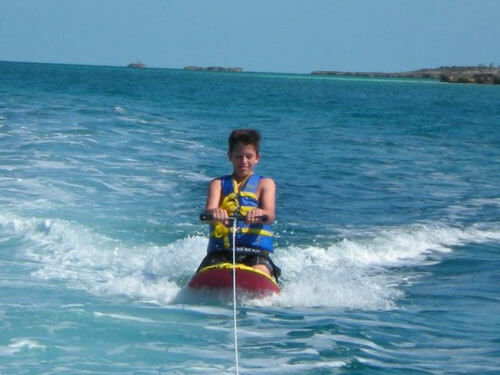 Get your thrills by knee and wake boarding or perhaps water skiing. The opportunities are endless and nothing can compare to the adrenaline rush that comes with racing through the waters! And when it's time to wind down, we will cruise by Western Nassau and tell you all about its most famous locations. And of course we will take you back to your hotel after the conclusion of this great adventure. This tour offers an array of activities in an intimate setting and with staff members who are eager to make this trip all about you! PLEASE NOTE: Watersport activities are WEATHER PERMITTING. 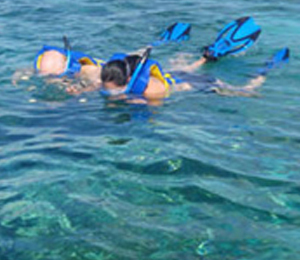 The watersports are more sensitive to winds than the other activities provided on this boat (Snorkeling, fishing, beach). Sometimes, the wind conditions do NOT allow us to do the watersports but we CAN still go out and do snorkeling and fishing. Please note that NO REFUNDS will be given if the winds prevent us from doing the watersports. (That being said, if the weather conditions force us to cancel the trip altogether, then you CAN receive a refund per our cancellation policy). 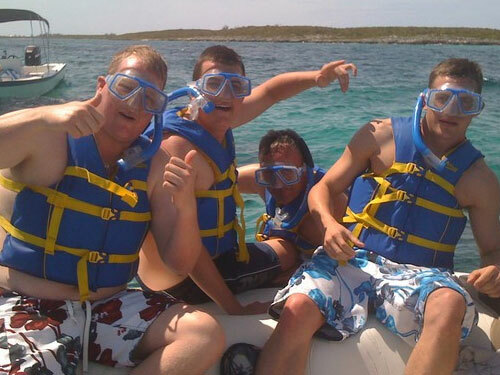 I have been to the Bahamas many times, but Bahama Boat Snorkel & Water Sports Package is one of my favorite trips! It includes everything that everyone should do here. As a Bahamas veteran, I can say only the best about this experience!